of us at OCP wish you a very joyous Easter season! rise from your sleeping and run to the tomb. Come and see! Come and see! He is alive! God who was with us is here with us still. He is here! He is here! He is alive! conquered the grave and defeated the night. The Son has arisen for all. People of God, let your fear fall away. Your chains have been broken; abandon your shame. Lift your hearts! Lift your hearts! He is alive! here the fulfillment that once was foretold. carry your joy to the darkness of night. Tell the world! Tell the world! He is alive! He is Lord! He is Lord! He is alive! 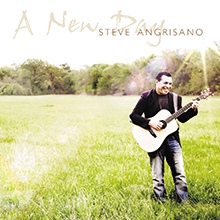 © 2012, Steve Angrisano, Sarah Hart, and Jesse Manibusan. Published by Two by Two Ministries and Spirit & Song, a division of OCP. Administered by Spirit & Song, a division of OCP. All rights reserved.